We do all the Septic permit work to providing a Eco friendly system from installing new septic, repair or repairing drain fields to connecting your septic system to the city sewer line system. And Offers City Line Sewer Connections Services. Our prices are affordable & we offer the experience you can trust! Gill Septic Installation is a Dover based septic company dedicated to serving Delaware business and residential communities. Great customer service - we look forward to hearing from you today! We work with home buyers, home sellers, Realtors, & Delaware State Counties to make sure your estate is up to par with DE regulations for resale and/or provide a septic improvement service. Don't hesitate to ask for a quote. Depending on the condition of the septic, and your budget, we will work with your budget and we will offer you many options for septic repair ranging from simple repairs to repairing drain fields or restoring septic drain fields. Gill's Construction & Gill's septic repair services Kent, Sussex, and New Castle counties. Started in 1982, we have over 30 years of professional construction experience, & we strive to provide these skills to our customers. Your household size determines the size of the septic tank you need. If the septic tank is too small, it can flood the drain field and cause other problems like poisoning the local water supply, clogging the drain field, or causing a back up in the septic system. It is important to maintain a septic system that works right. If you've got a Delaware septic repair problem, we've got the solution for the job. We offer general contractor work including septic to sewer line connections, septic repair, septic installed, drain field repairs, driveway pipe repairs, and more. We take price in our business as veteran owned and can handle such problems that don't work right with speed and attention to detail. Grading and excavation, Back-filling, Demolition, Sewer system repairs, City Sewer Connections, Home and Industrial Excavating Construction, Land/Lot Clearing & Basin, Back-filling, and Culvert Clean-outs. We can discuss with you about serving your home exterior construction problems. Add functionality and curb appeal to your business or home with our functionality contruction ability to your home or business with services from our company. "Upon moving to Kent Couty Delaware from NJ I needed a complete septic tank system install in my new home. 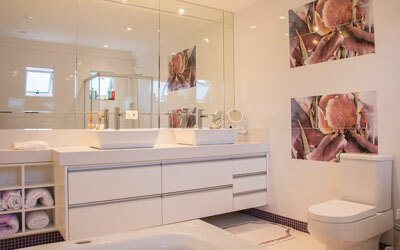 My real estate agent contacted Gill Septic & within the time frame the crew install new tank & left a clean site." "As a real estate agent I call Gill Septic to get a quote on a failed septic system for homeowners needing to sell their homes. Mr. Ed Gill always gives me a round about cost to repair it & I give the estimate to the home owner." "Gill Septic had repair and replaced my old septic tank and drain field back in 2001. I highly recommend his service. His crew was pleasant, and they did the job according to DE water protection state laws." "I have bought an estate from a family that lived in Magnolia Delaware area that needed the drain field repaired. Not only did Gill Septic repaired my septic drain field but they were able to do a ditch clean out with their heavy-duty equipment." 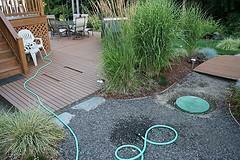 "I had notice my backyard had water laying ontop of my septic tank area. After making an appointment for Gill Septic to look it over - I had them fix the problem. " "I was looking to buy some property in Magnolia DE area. After having the septic system inspected my real estate agent ask me to call Gill Septic for a septic inspection referral & quote on replacing septic since the system failed inspection. His quote was affordable so I bought the property and had them fix the problems. I was very satisfied." It is important to maintain a sewer system that works right. If you're interested in connecting your Delaware septic system to your city sewer connection - we've got the solution for the job. We offer contracting work including connecting your system to your city line. Each county has different regulations. We take price in our business as veteran owned and can handle serving you with attention to detail. We strive to get the job done right! Stories of Progress in Achieving Healthy Waters in Dover Delaware. Read More.